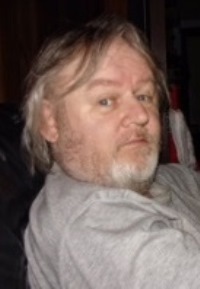 MARK DOUGLAS GEORGE, 64, of Jasonville, Indiana passed away at 7:53 a.m. Tuesday, February 12, 2019 in his residence. He was born May 24, 1954 in St. Jo, Missouri to Gaylord George and Patricia (O’Neill) George. Survivors include his wife, Kathy (Munson) George of Jasonville who he married on August 10, 1974; children, Jamie Vaughn of Bloomington, Eric George (Mandy) of Brownsburg, Jackie George of Knightstown; grandchildren, Wylan, Amber, Cameron, Kaeli, Megan; 5 great-grandchildren; siblings, Roger George of Hymera, Tracy Burris of Jasonville; several nieces and nephews; special friends, Kenny Marx, Tony Towell. He was preceded in death by his parents; sister, Teresa Camden. Mark had worked at the Jasonville Utilities for 17 years. He was a devoted husband and father. He was interested in astronomy, model trains and the railroad. He enjoyed building speakers, stereo systems, reading books about war, stars and the weather. He loved spending time with his grandbabies and great grandbabies. Arrangements are entrusted to Michael W. Cox, Cox Funeral Home; 218 South Meridian Street; Jasonville, Indiana. Per Mark’s wishes cremation was chosen and no visitation or funeral services are scheduled. In lieu of flowers contributions may be made to the Cox Funeral Home 812-665-9490 to help with funeral expenses.